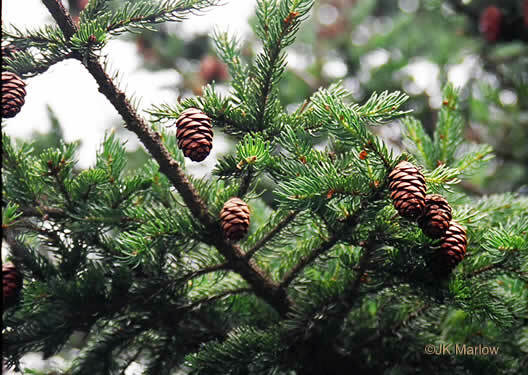 Your search found 5 image(s) of cones of Fir, Hemlock and Spruce. 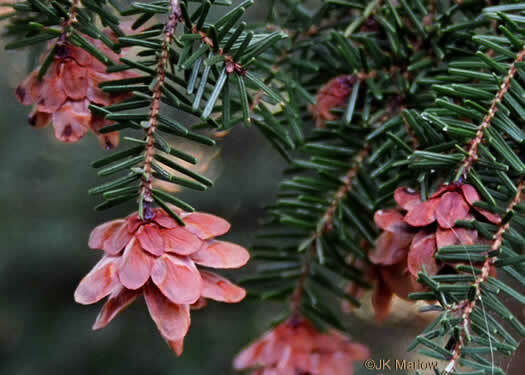 Cones pendant, 1.25-2" long, reddish-brown, per Woody Plants of the Blue Ridge. 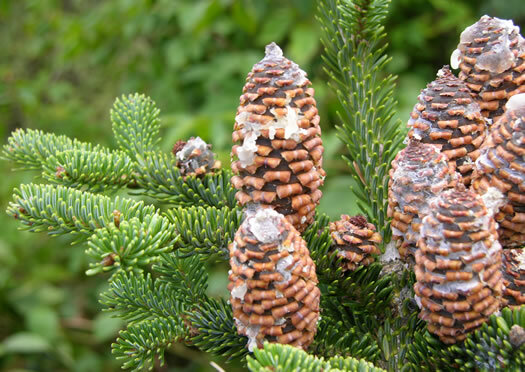 Cones pendant, small, with thin scales, per Woody Plants of the Blue Ridge. 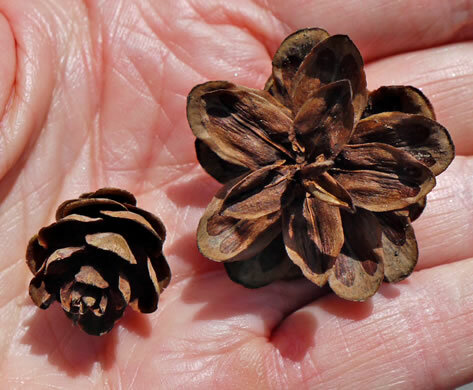 Seed cone of T. canadensis on left, that of T. caroliniana on right. 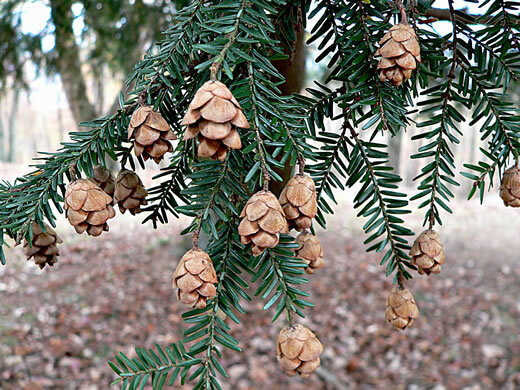 Cones reddish-brown, pendant, to 1-3/8" long, opening widely when mature, per Woody Plants of the Blue Ridge. Mature seed cones erect, cylindrical, about 2.5" long, per Native Trees of the Southeast, An Identification Guide.